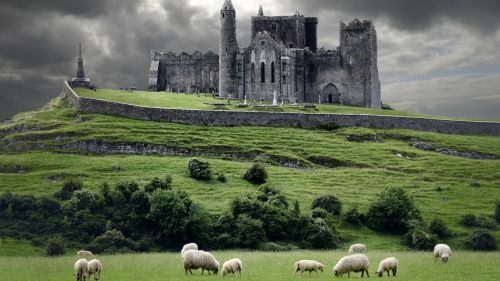 WestJet is selling off their end of season flights from Calgary to Dublin, Ireland (DUB) for just $508 CAD roundtrip including taxes. Yes, that's the same price as a flight from Calgary to Toronto. Using a $273 departure date and a $233 return date will give you a roundtrip flight total of $508 CAD roundtrip including taxes. calgary, yyc, flight deals, westjet, europe, western europe, northern europe, dublin, ireland and dub. 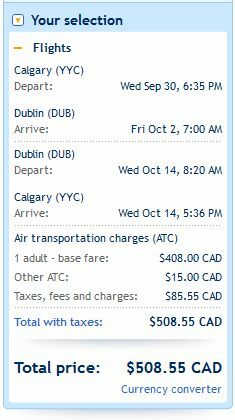 3 Responses to "Calgary to Dublin, Ireland - $508 CAD roundtrip including taxes"
Tried 4 different dates with the ones you mentioned and all are around $850-900. Has the deal expired already? Sorry guys, this one did not last very long at all. It was available from Edmonton and Vancouver as well, at similar price levels, and once the word hit those two cities as well, they sold out *fast*. Yup - got to act fast! I booked right away London UK few years back and deal was gone 2 hours later!